Yore arms should be relaxed,and down at your sides. Then,take the tape across the fullest part of your bust and across your back. This is the natural waistline,which is also the smallest part of your waist.Typically it's about an inch above your belly button. 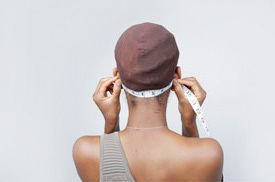 Please measure the widest part of your hips,across the hipbone,which is approximately 7 inches below the natural waistline.This measurement is not needed for full gowns. 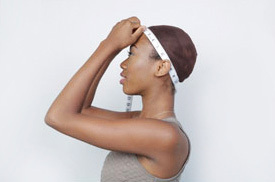 Stand upright and keep your feet together.Then measure the length from your shoulder to your heels. 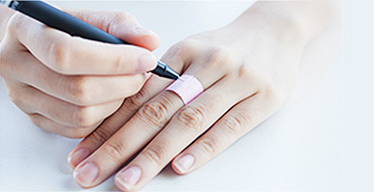 (just take the tape from your front,with bare foot). 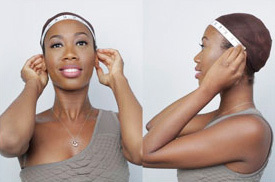 You can wear the veil in the front of head and make veils cover the face on both sides. Flowers matching will definitely make you beautiful, lovely and charming. Wear the veil on the back of the head, so that the veil can fall naturally and this method will make the bride look more elegant and feminine, the proposed selection of pearls and other accessories and more texture. This method is very suitable for the bride who is as tall as the groom or taller. 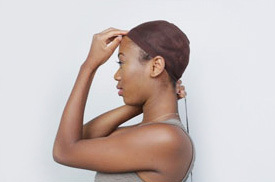 Note: If you are bald or do not have a hair line - you do not need to add the inch - simply put the tape measure where you would like your hairline to beginwith the wig. The averages below are just examples. 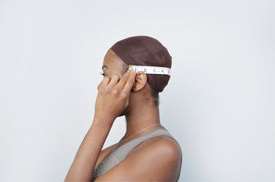 Not everyone will meet these measurements - some may be under or over and that is perfectly fine. 1. 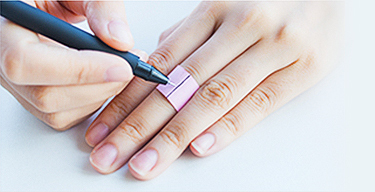 Cut a strip of paper long enough to fit around your finger. 2. 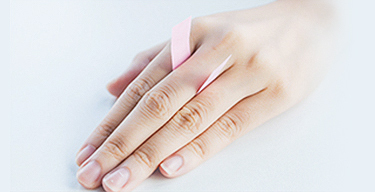 Wrap the paper around your finger, not too tight, aim for a comfortable,snug fit. 3. Mark where the two ends meet. 4. 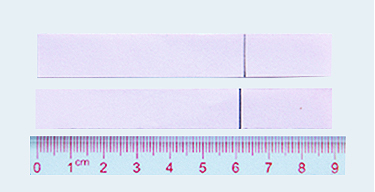 Measure the length of the paper from tip to pencil mark.